Antarctica : suite for guitar and orchestra / by Nigel Westlake. Antarctica : suite for guitar & orchestra, piano reduction / N. Westlake. 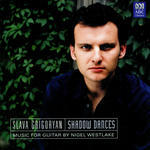 Shadow dances : music for guitar by Nigel Westlake / Slava Grigoryan, guitar. From Australia / John Williams. Australian composition : 2006 Education Program / Sydney Symphony. Book: 2006 Australian composition resource kit. 28 Sep 2018: at Youth and Exuberance (Bellingen Memorial Hall). Featuring Karin Schaupp, Bellingen Youth Orchestra. 13 May 2018: at Compassion (Robert Blackwood Concert Hall). 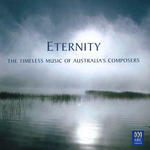 Featuring Nigel Westlake, Monash Academy Orchestra. 25 Mar 2018: at Willoughby Symphony: Flight - Westlake (The Concourse, Chatswood). Featuring Willoughby Symphony Orchestra, Nigel Westlake, Andrew Blanch. 24 Mar 2018: at Willoughby Symphony: Flight - Westlake (The Concourse, Chatswood). 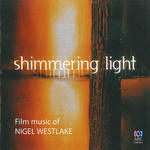 Featuring Andrew Blanch, Willoughby Symphony Orchestra, Nigel Westlake. 20 Apr 2016: at ASO: Classics Unwrapped (Adelaide Town Hall). Featuring Guy Noble, Adelaide Symphony Orchestra. 20 Mar 2016: at Passion (The Q - Queanbeyan Performing Arts Centre). 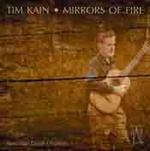 Featuring Leonard Weiss, National Capital Orchestra, Matthew Withers. 31 Oct 2014: at Sitsky (Llewellyn Hall ANU School of Music). Featuring Canberra Youth Orchestra. 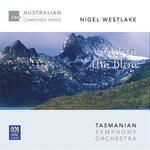 2 Jun 2012: at TSO: White Continent (Federation Concert Hall, Hobart). 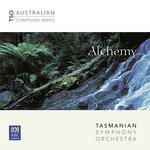 Featuring Slava Grigoryan, Tasmanian Symphony Orchestra, Andrew Grams.